Bar stacker - AB-90 - Bewo Cutting Systems B.V. 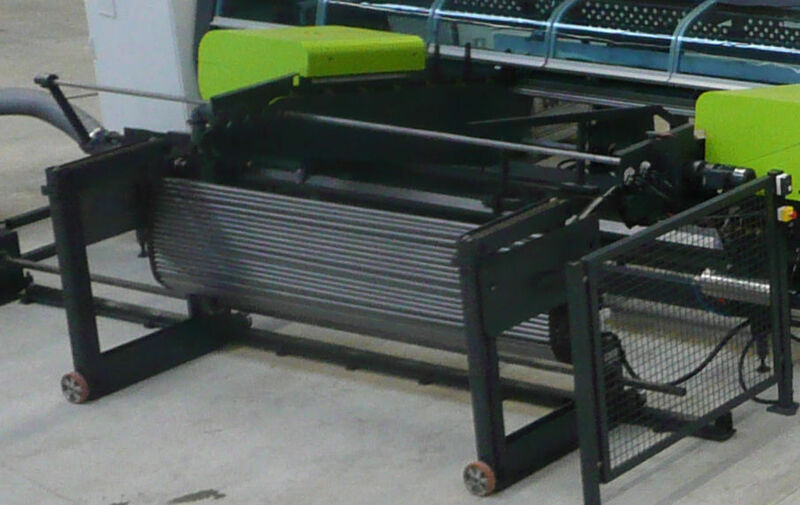 Packing - Handling - Logistics > Packing and Packaging > Bewo Cutting Systems B.V. Stand: Bewo Cutting Systems B.V.
AB-90 Bewo Cutting Systems B.V.
First we have the Bewo AB-90, parts stacking system for the medium efficiency saw lines. 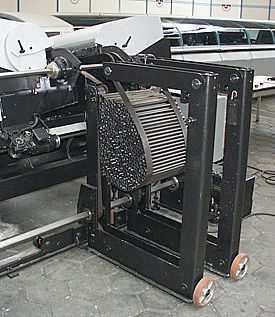 Parts are caught onto two strap assemblies, which lower as the volume of parts increase, thus ensuring minimal marking along with reduced noise level. This is automatically controlled. Once desired parts number is achieved, the bundle of parts, can easily be removed.